Some landlords, especially those who are new to the experience, understandably wish to use a letting agent simply as a route to market in order to find a tenant. However, whilst a return on investment is one thing, sleeping well at night is quite another! A managed service is not just about chasing late rent, resolving disputes and inventory control. When your property is professionally managed, it’s all about accountability. This means regular inspections to check that your tenant is treating your investment with the respect it deserves. 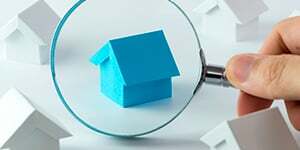 During these inspections, well-trained staff are able to identify any areas that should be investigated in order to avoid or reduce costs later. An example would be a blocked gutter. Normally, you would only hear about this when the tenant calls you to tell you that water is coming in, plaster has come away from the wall and there is mould on the ceiling. Call in the dehumidifier, plasterer, and painter – and you have a large bill and an unhappy tenant. Many tenants also prefer to rent a property that is managed through a letting agent, possibly because they have had a “problem landlord” in the past so they tend to stay longer. Additionally, no matter how compliant a tenant may seem at the outset, the last thing a landlord needs is someone phoning him/her at all hours with the some minor issue over a draft, dripping tap, clanking pipes, noisy neighbours, etc. All or these are part of a day’s work for a dedicated managing agent! One of the most important considerations is that as property managers, we get to know our clients’ tenants, and have a good understanding of their plans, often pre-empting a premature departure, so we can prepare and let the property in time to avoid it being empty – even for a day! Most of our landlords derive great value from our managed service and we invite you to experience the difference yourself!